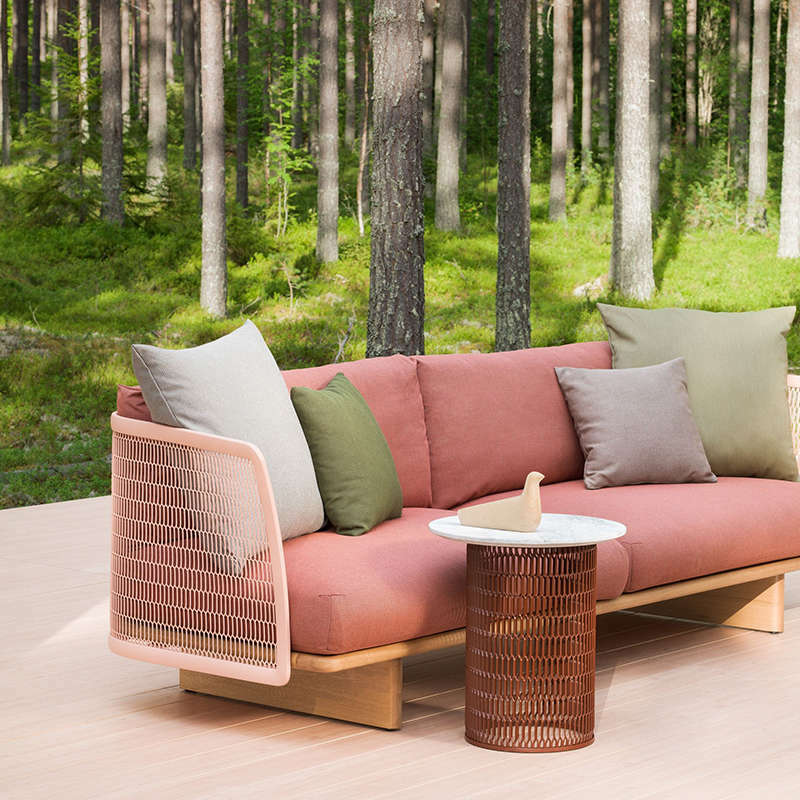 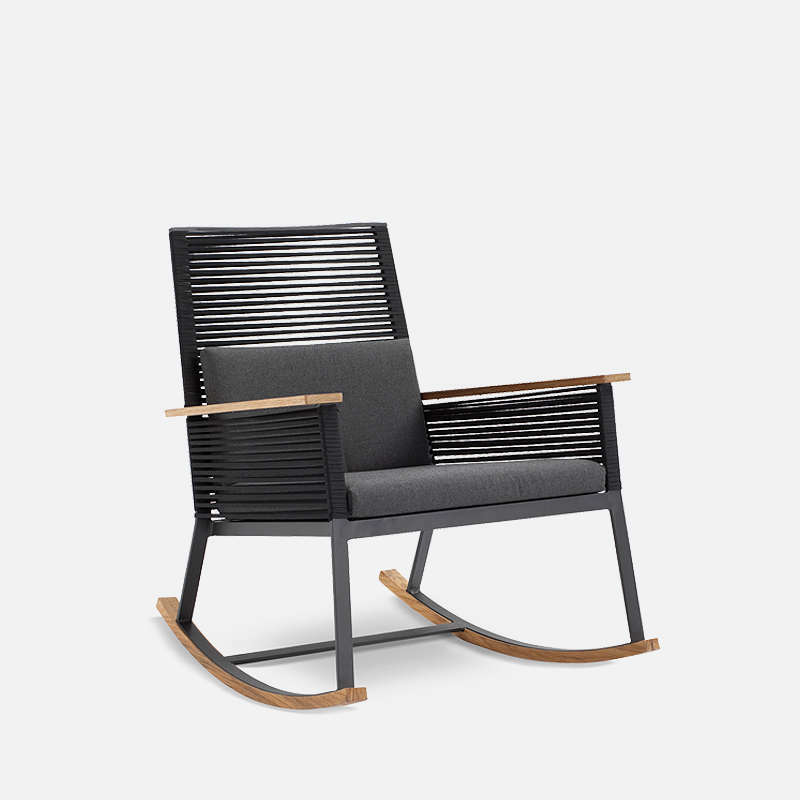 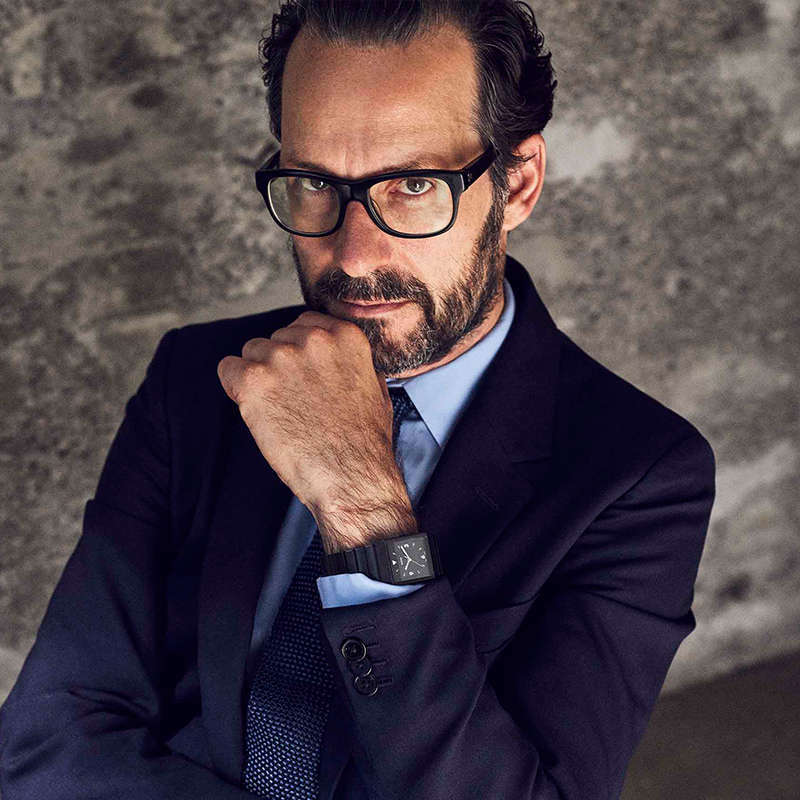 Meteo marks the beginning of a new collaboration between Kettal and Konstantin Grcic. 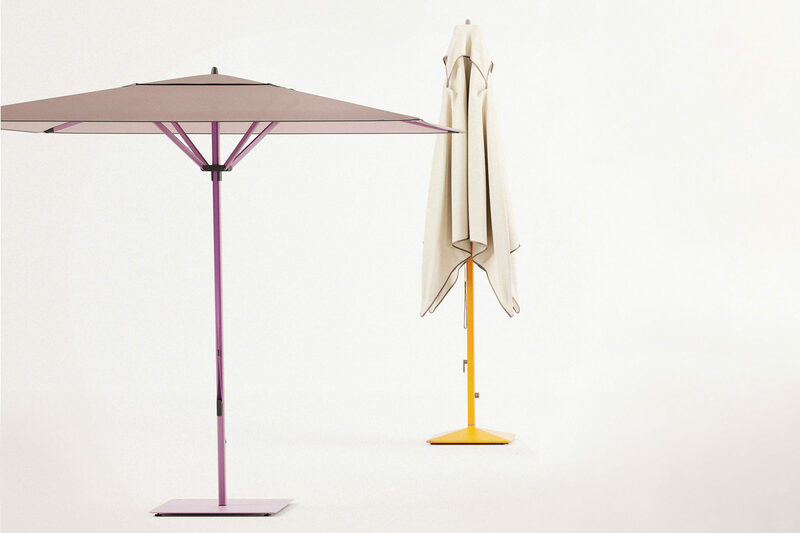 It aims to explore the largely untapped design potential of modern parasols. 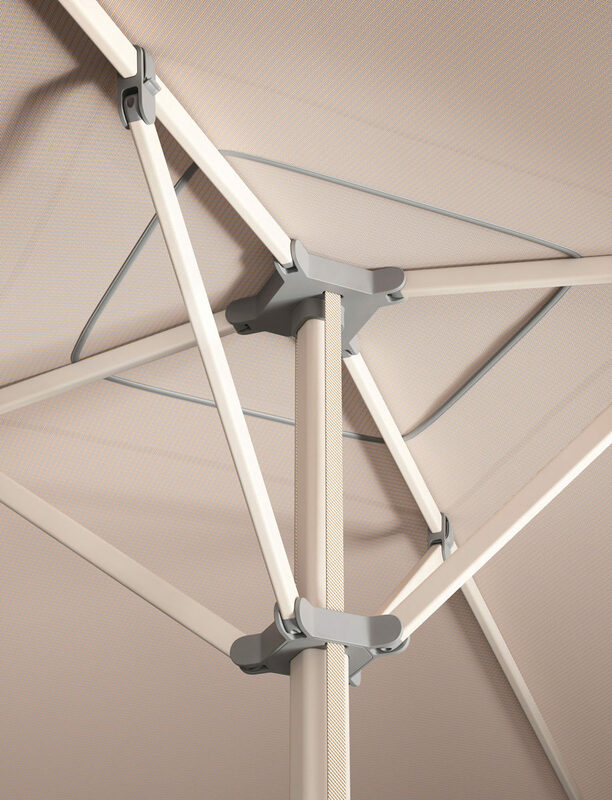 Protection from direct sunlight is becoming a quintessential condition for our health and wellbeing. 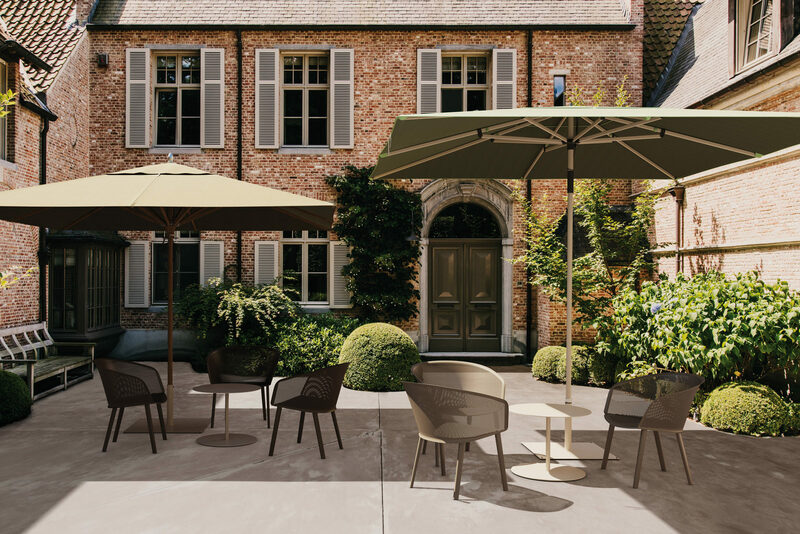 The increasing impact of parasols and other sunshade systems on the planning and furnishing of modern cityscapes, recreational resorts and private dwellings gives rise to the challenge of a renewed approach to this specialized product category. 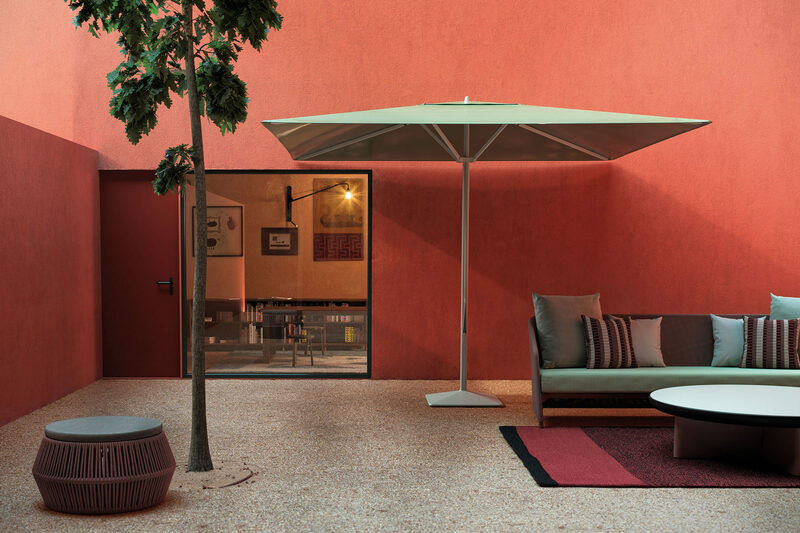 Meteo comes in two versions: a basic model, which uses a manual pulley system, and a high-end model with an integrated gas piston to assist the opening and closing of the parasol. 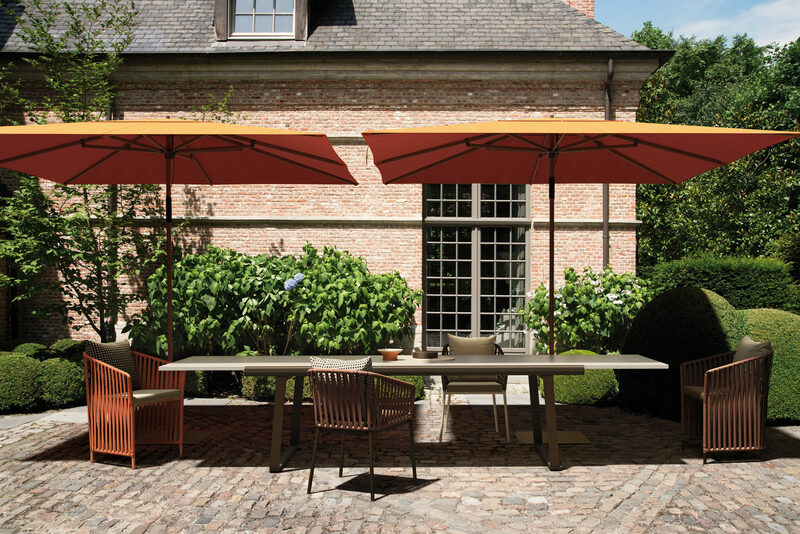 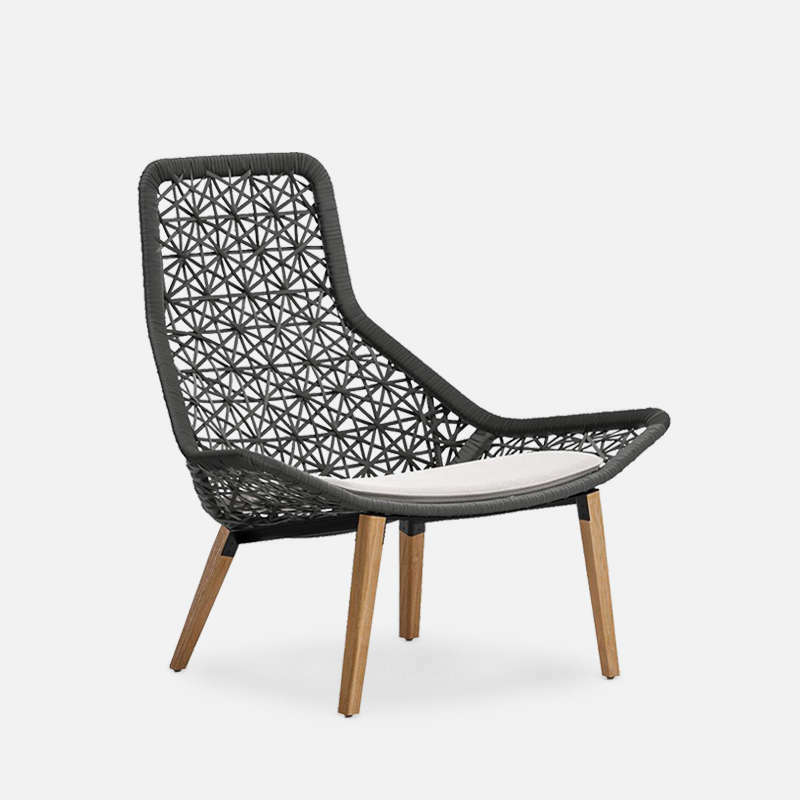 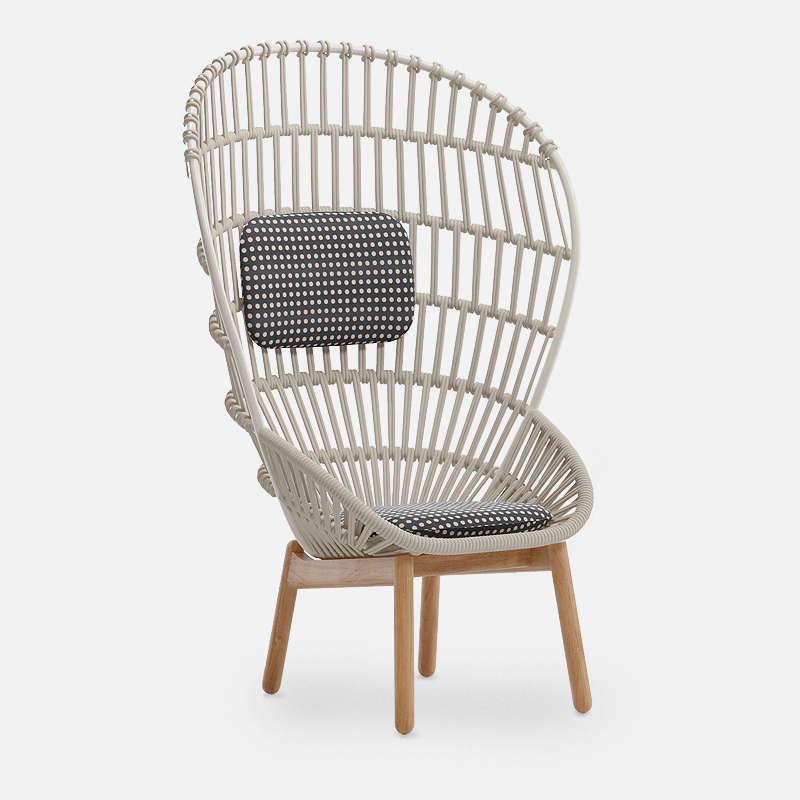 Kettal’s own range of sunshade materials is used in combination with the brand’s standard colour palette. 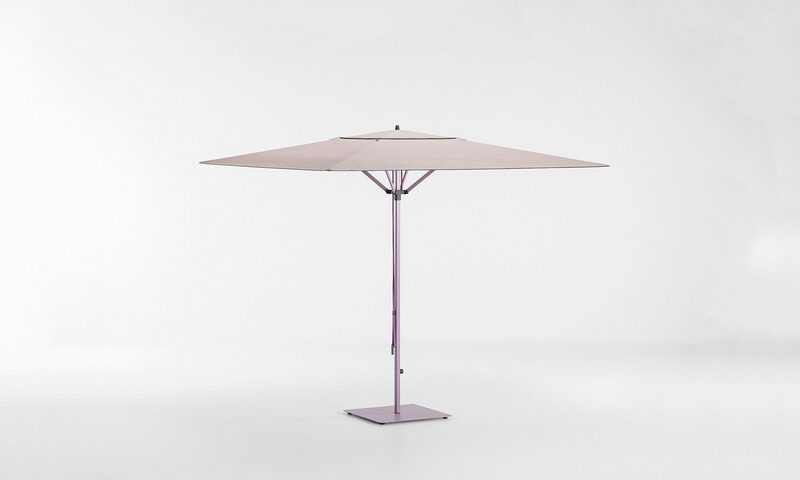 The parasols can be fitted with two alternative types of base plate: in sheet metal or cast iron. 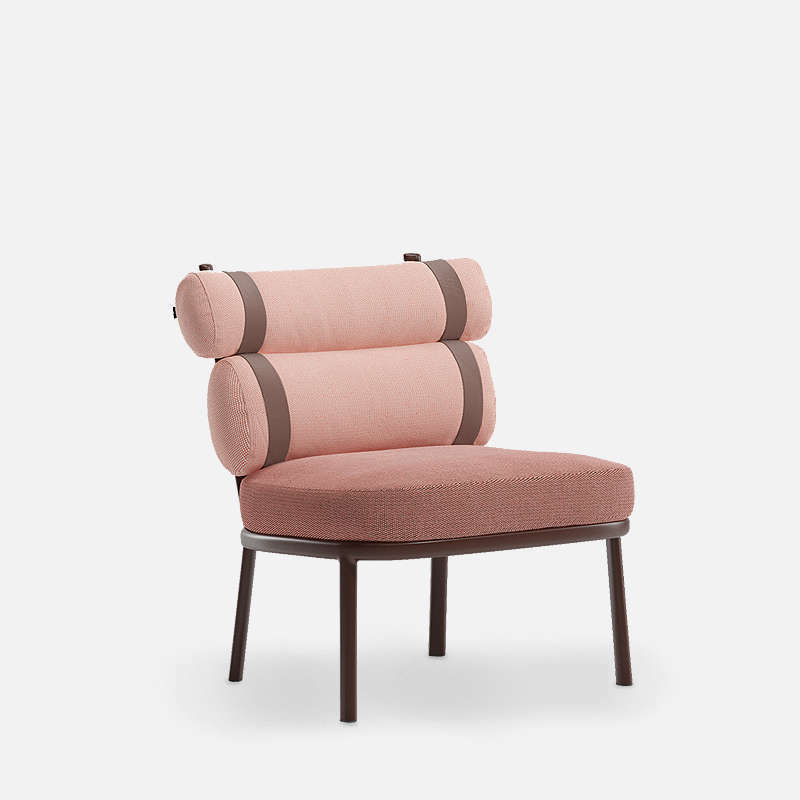 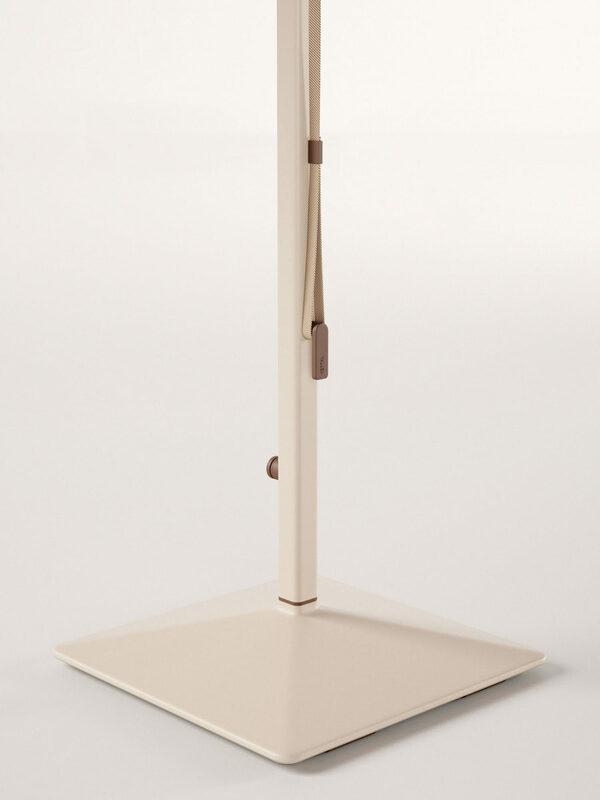 Meteo comes in two versions: a basic model, which uses a manual pulley system, and a high-end model with an integrated gas piston to assist the opening and closing of the parasol.